On Demand TV is extremely popular in the UK and one service that consumers like to enjoy is Channel 5 On Demand. On occasion though, the app or website can suffer issues expectedly and the Channel 5 login nightmares can last hours. Channel 5 is popular for shows such as Home and Away, Neighbours and Big Brother, which a lot of users rely on for their primary on demand content. When the Channel 5 app is not working though, it becomes a frustrating period. 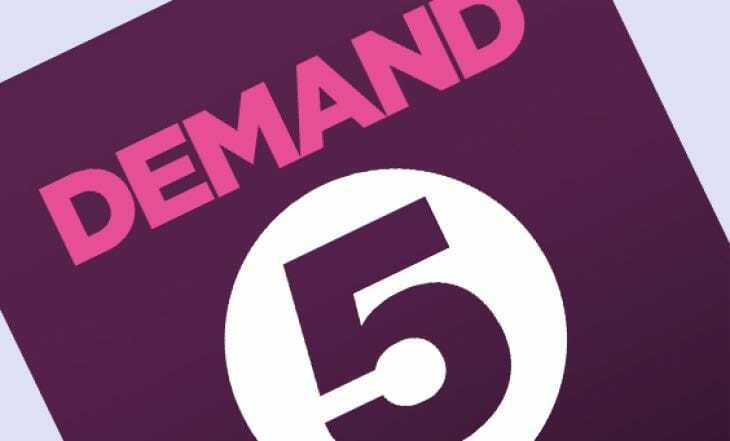 Is Channel 5 not working for you on Thursday April 25, 2019, either on demand or the Channel 5 app login full stop? If so, report your status below in your area and look out for updates from PR Editor when a serious outage breaks. Whoops there was an error connecting to the server. (FRVD5 h – 202). On Panasonic Tx – 24fs500b smart TV I try over and over on retry button but all I get is the whoops message. I get as far as advert 5 and then it just hangs with the rotating circle. Not working on JVC smart TV. It says i need to be connected to the internet, which i am. It also says to re-tune TV, which i have. App not working on 4k Fire stick or firehd10 code CA-4000. i cant watch anything on 5 on demand, keeps buffering. Channel 5 on freesat was working again yesterday – for about 5 minutes before error message cropped up. Then back to no service as has been usual recently. Very poor. Router had been re-booted. No improvement. iPlayer working fine. my5 not working on freesat, just says not connecting to server. Not working on freesat last 48 hours at least. Thought it was my broadband but My5 on my TV keeps crashing at the same frame. Have to ‘resume’ about 10 times. It’s taking me double the time to watch one episode. Annoying is an understatement. Have you tried un plugging your router? Hi David .. yes I’ve tried that and nothing still.. I’ve even gone on the app via now tv box and where it says rate my 5 app.. I’ve clicked on its down and not working.. So I’m hoping they see it ..
only plays advertising not big brother been happening for days using roku device. works using xbox 1 tho??? It’s not working in Elland, and hasn’t been for a few days. Very annoying!!! Tried turning Now box and all switches on and off but same result – adverts followed by the circular spinning icon. It’s rubbish!! Still not working in Enfield. Please can we have some feedback from Demand 5? I live in Hove BN3 and am unable to view anything on my tv for 4 days now. Can open the app but can’t open any shows. The app is working on my phone and tablet though. Channel 5 still not working also missing Friday nights big brother episode just goes straight to Sunday nights which isn’t working too. Been like this for days now…..
Havenâ€™t been able to see Neighbours since 10/10/18. Shocking service. my5 hasnt been working for 2 days on roku express (plays ads and then nothing but black screen) and freesat hdr 1100s (white spinning dots and then black screen). I phoned channel 5 who told me its on lots of platforms, their people are working on it. Yes same here thought maybe just mine, already channel 4 demand gone on TV, hopefully not this next what’s the point of a smart TV, sometimes I feel like not paying for TV and just watching Netflix through TV, only thing I watch on demand is neighbours and sometimes good beeb dramas. Channel OD on my eetv hasnt been working for a few days now, anyone knows whats wrong and when it will be fixed ? Channel 5 OD on NowTV has been down for around 24hrs now. Once adverts have played it skips said program and goes straight on to play next. Anyone know why? I can confirm Demand 5 not working on my Roku. Adverts play fine then I just get a spinning icon that goes on and on until I quit the app. Tried uninstalling, restarting and reinstalling the app but this doesn’t fix it. Demand 5 down on roku for 5 days now. On demand very juddery and has been dor a few days. When first noticed ? channel 5 on demand not working on freesat hdr 1100s or roku express this morning, trying to watch rich kids go skint. Error on both platforms. Second day itâ€™s not worked on any of my Firesticks!! The programme I want comes up, I press to select it and it just spins!!! Unplugged n gonna try again!!! Get yer act together eh? not working yet again …..why ????? I have had this app on iPad a long time but earlier this month there was an update and although states open, app reads waiting! I can’t even delete app! 5demand goes through even a double set of ads but only 2 seconds of Longmire, or Bull. This hasa been going on for a few days now. I wrote Channel 5 and got a generic message back starting with this “Channel 5 welcomes all comments and queries from viewers about its programmes. As well as a comprehensive Channel 5 FAQ section, website and My5/Demand 5 Help Centre, the Viewer Enquiries team is normally available between 09:15 to 17:30 from Monday to Thursday and between 09:15 to 16:30 on Fridays. When closed, an answer machine service is available and we respond to all messages that require a response. Our telephone numbers are 020 3580 3600 and 03457 05 05 05.” . Channel 4 works for me, so I am going to watch programs on their site. channel 5 keeps buffering in the programme but plays ads perfectly. Can’t get into 5 on Demand at 1am 1 Sep 2017. Is anyone going to fix this? Can’t get into 5 on Demand. Thurs 14 sep 1.am. is anyone going to fix this? Demand 5 app hasn’t worked on nowtv box in well over a week. East Lothian area. Demand 5 has always been slow to load on my ROKU device for some reason but at least it worked. It has not worked at all since 12/8/2017. Location is Aberdeen. My iPad can still access Demand 5 no problem, I have checked all settings on my device and everything is working normally and all relevant upgrades are in place. Hasnt loaded in 2 days! Deleting!